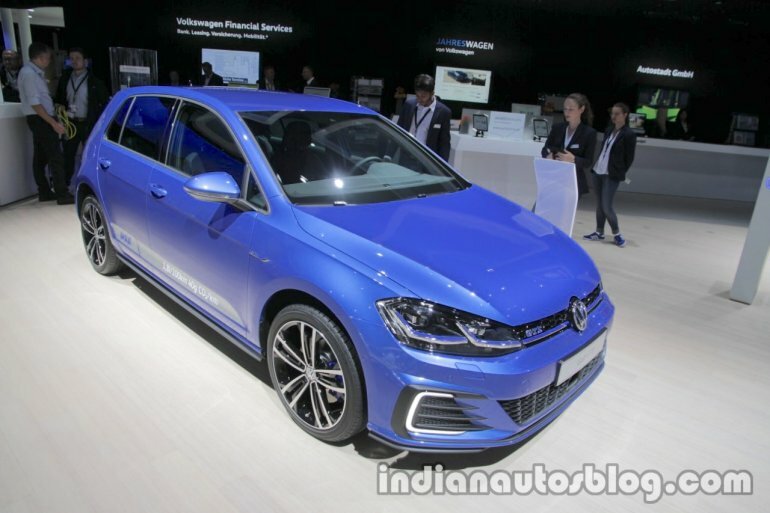 Also receiving a makeover this year is the 2018 VW Golf GTE; a variant that promises the thrills of the GTI whilst being easy on the environment. 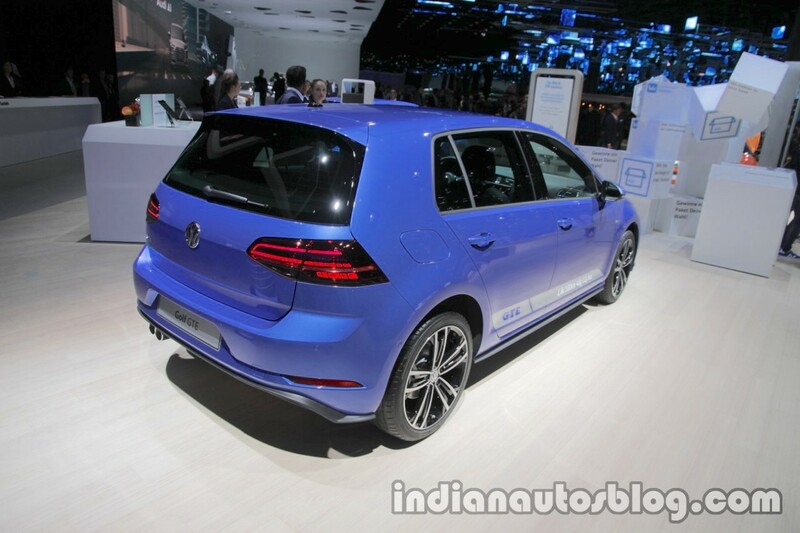 In Germany, the Golf GTE retails at a starting price of EUR 36,900 for the sole variant. Compared to the outgoing model, the new Golf GTE looks much more aggressive and sporty like its unelectrified GTI twin. It features larger air inlets up front with black plastic accents and LED DRL accents, blue embellisher that runs across the grille and into the full LED headlamps, black mesh radiator grille, LED taillamps and a roof mounted spoiler. The base model has 16 inch rims, while 18 inch dual tone rims (featured) are optional. At the tape, it measures 4,276 mm long, 1,799 mm wide, 1,484 mm high and has a wheelbase of 2,630 mm. Inside, the GTE carries over the changes seen in the GTI such as the incorporation of a 12.3-inch Active Info Display fully digital instrument cluster (optional) and the 9.2-inch Discover Pro touchscreen infotainment system with gesture control. Also optional are Apple CarPlay and electric sunroof. The interior is only available with black leather upholstery that has blue stitching and tartan inserts. Under the hood is the same a 1.4-liter turbocharged and direct-injection TSI motor that outputs 148 hp, paired with a 101 hp electric motor. Both engines combine to give the Golf GTE a total power output of 201 hp, which is sent to the front wheels via a 6-speed DSG. It can sprint from 0-100 km/h in 7.6 seconds, and hit a top speed of 222 km/h. In pure electric mode, the GTE has a range of 50 km. Batteries can be charged via socket mounted under the VW logo on its grille.